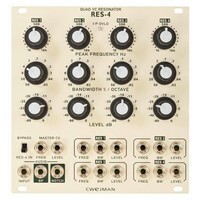 The RES-4 is a voltage controllable quad resonance filter. 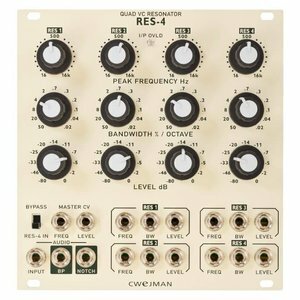 It bases upon Cwejman´s VC-EQ module but features explicitely greater parameter ranges and thus it is possible to create somewhat extreme sounds. The module contains of four identical parallel filters. 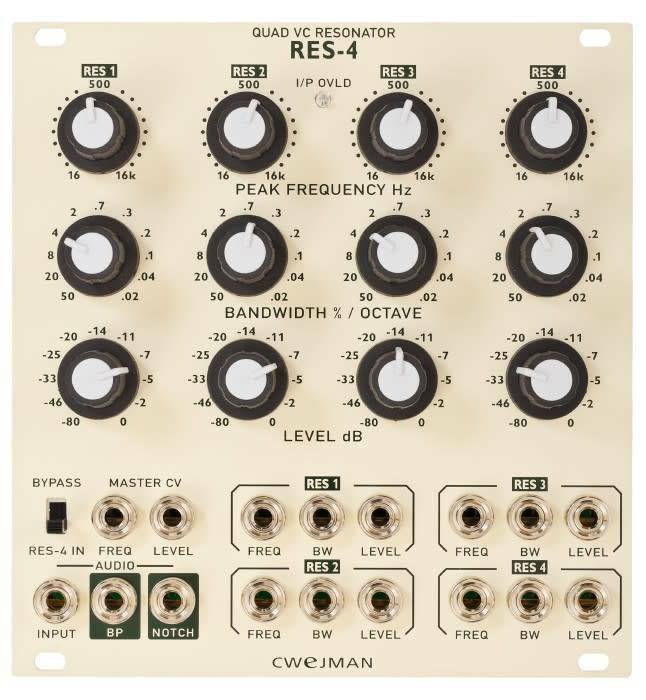 Each one features a knob to control the cutoff-frequency (16Hz-16kHz), the bandwith (50-0.2% octave width) and output level (-80dB – 0dB). Each parameter of each band can also be voltage controlled. 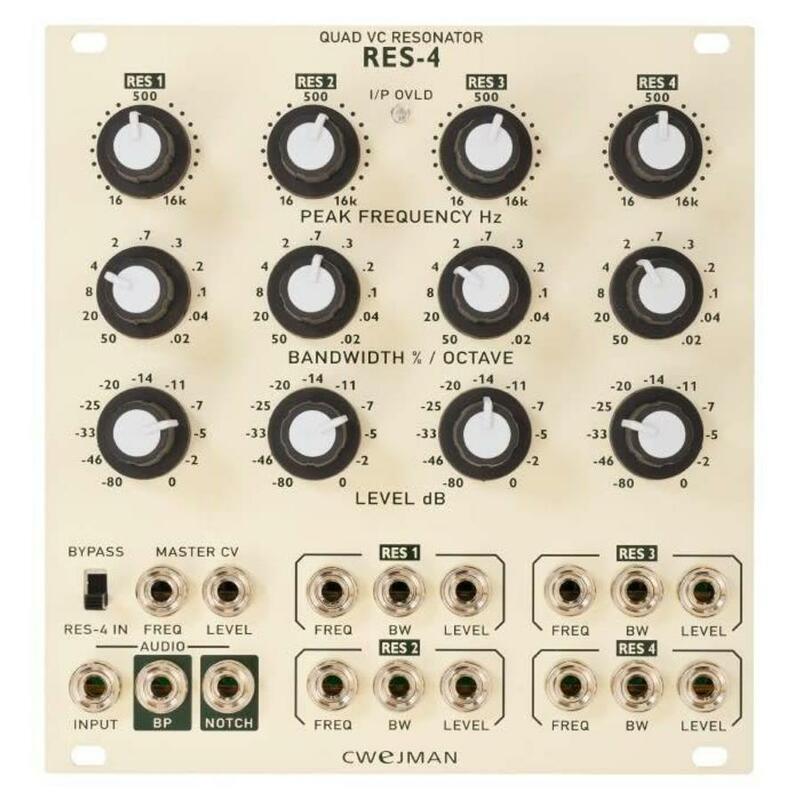 Additionally there are two additional CV inputs which can modulate the cutoff frequency and the level of all four resonators at the same time! As customary the sound is very clear but if desired you can distort the audio signal and the overload is being displayed by a red LED. Generally all Cwejman products are screened from interferences and have calibration trimmers on the backside.